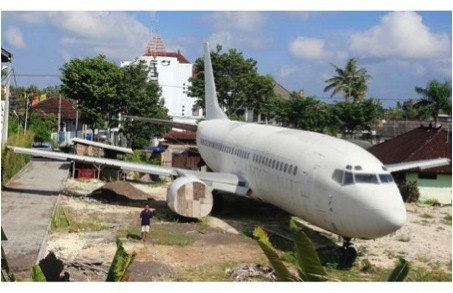 What is this abandoned plane doing in Bali? 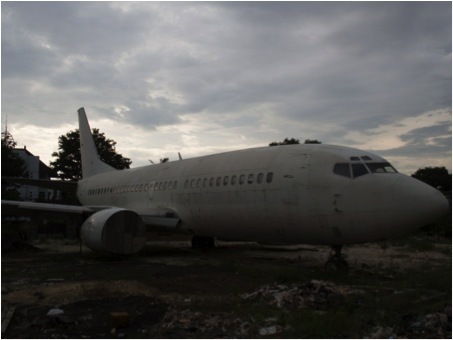 Indonesia > Bali > What is this abandoned plane doing in bali? 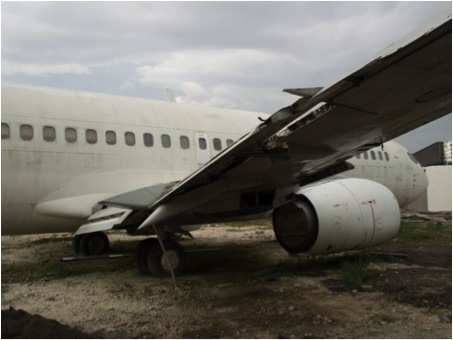 You might have heard of this strange sighting – a passenger plane found abandoned in Bali. No? That’s not strange enough, you must think. 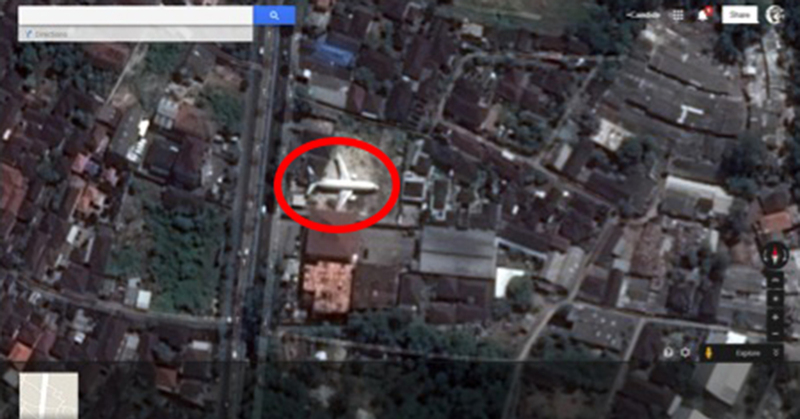 What’s really curious about the old Boeing 737 abandoned plane is that it’s not just seen in the small town of Kuta, awkwardly wedged in between houses, but that it even appears on Google Maps. 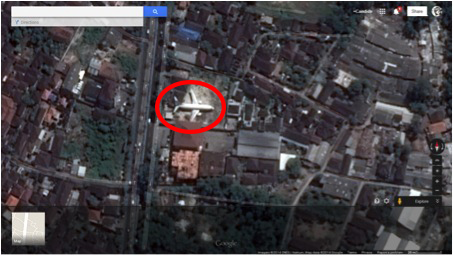 You can see the above image when you find it on Google Maps here. While we have no idea why Google Maps chose to capture it, rumours are abuzz online on the origin of the abandoned plane. Some say the owner might have originally bought it to turn it into a home. Others comment that the owner had wanted to turn it into a tourist attraction, but ran out of money and just decided to leave it there. Its turbines are boarded up by wood, to prevent people from noticing that the engines are missing in there, says one aircraft mechanic. 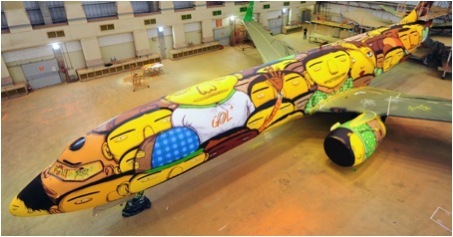 Just three months ago, a photo of an Indonesian man beside the aircraft was published online, with captions stating that an Indonesia businessman is planning to develop the Boeing 737 into an aviation-cinema and restaurant. 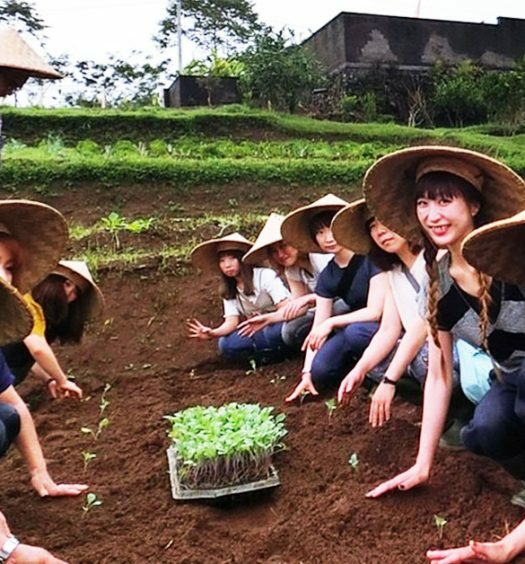 Well… Perhaps leaving it abandoned would turn it into a greater tourist attraction itself. We’ll have couples flocking there to have their wedding photos taken next. 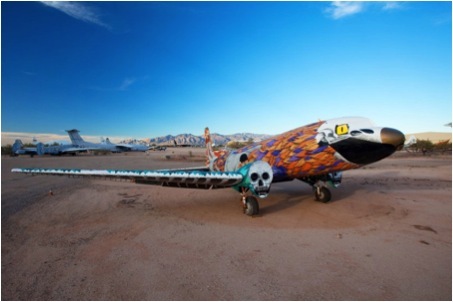 I mean, how many times do you get to take wedding shots by an abandoned plane, right? 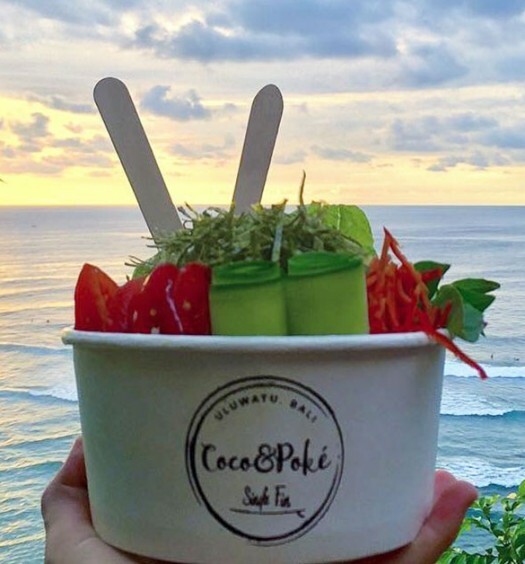 What’s more, it’s right in Bali, the romantic paradise. Or someone may start splashing it with paint and turning it into a work of art, just like what those punks do to old rusty buses and vans. 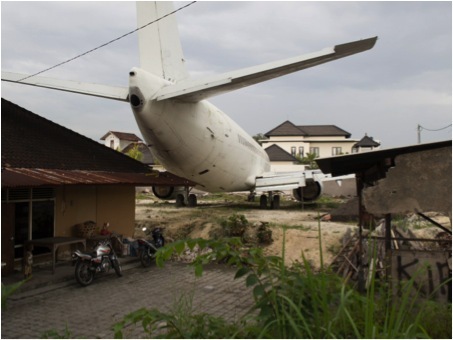 What so strange is that how one could transport such a huge plane into this sub-urban housing estate? 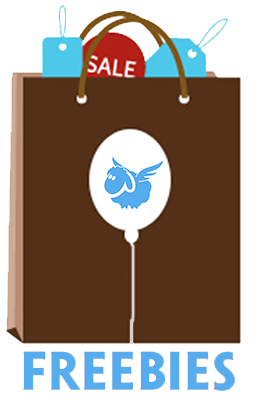 Comment below to let us know what you think or if you have any other interesting insights!